Lisson Gallery Shanghai will be housed within the former warehouse known as the ‘Amber Building’ on Huqiu Road. This historic building, dating back to the 1930s, was previously used during the Republican period by the Central Bank of China. 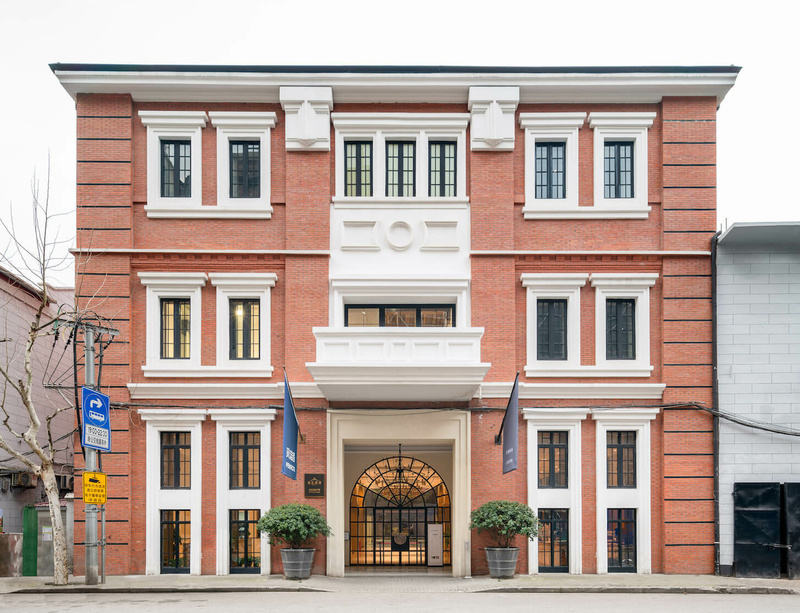 The road, historically referred to as ‘Museum Road’ due to its location, today sits alongside some of the city’s major museums and cultural institutions, including the Rockbund Art Museum, Fosun Foundation and Christie’s. The gallery space, situated on the second floor, has been designed with the support of architecture, interiors and design specialists, Thomas Croft Architects. Lisson Gallery Shanghai will open on 22 March with an exhibition entitled 'Love is Metaphysical Gravity'. Taking its title from a quote by the American architect and theorist Buckminster Fuller, the exhibition ties together works that go beyond the physical realm of gravity, into the transcendental, mystical and metaphysical. The exhibition will include works by Marina Abramović, Shirazeh Houshiary, Richard Long and Tatsuo Miyajima, whose most recent body of work, Innumerable Life/Buddha (2018), is showing at Lisson Gallery's Tenth Avenue space in New York until 16 February. Since its establishment in 1967, Lisson Gallery’s unwavering priority has been to support and develop the careers of the artists it represents. Long recognised globally, Lisson Gallery is known for its enduring relationships with its artists, and for creating opportunities both for artists at an early stage in their careers and for more established figures, including Marina Abramović, Ai Weiwei, John Akomfrah, Carmen Herrera, Shirazeh Houshiary, Anish Kapoor, Richard Long and Stanley Whitney. International since its inception, Lisson has been strongly present in Asia for the past decade, focusing on building relationships and partnerships in the region. The gallery has played a major role in presenting key Asian artists – including Ai Weiwei, Liu Xiaodong, Tatsuo Miyajima, Rashid Rana and Lee Ufan – internationally. In a complementary drive, Lisson has provided its roster of artists with increased exposure in the East through exhibitions and collaborations across the region, from China to India, Korea, Singapore and Japan. Alongside the opening in Shanghai, Lisson Gallery artists will be opening new exhibitions across institutions in Asia this year, including Tatsuo Miyajima opening the new Shanghai Minsheng Museum on 17 May 2019. The gallery will again participate in Art Basel Hong Kong from 29-31 March, presenting work by artists including Tony Cragg, Djurberg & Berg, Ryan Gander, Carmen Herrera, Anish Kapoor, Christopher Le Brun, Julian Opie, Laure Prouvost and Wael Shawky.